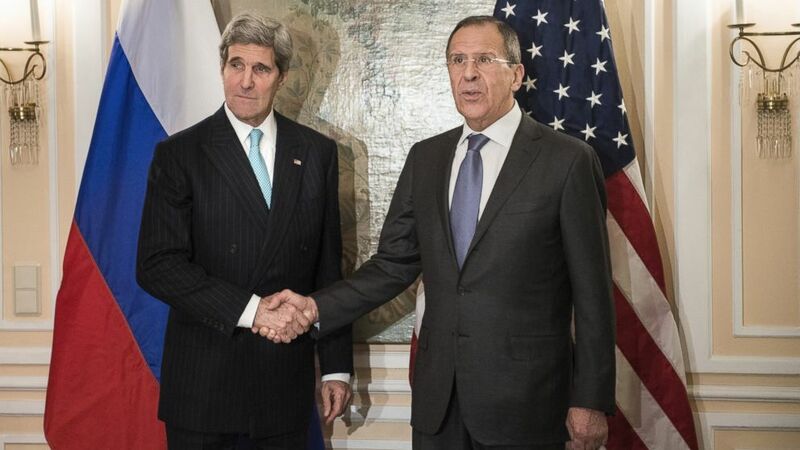 Secretary of State John Kerry meets with Russian Foreign Minister Sergey Lavrov. The press conference of March 2nd in Geneva in which Secretary John Kerry provided a broad outline with great clarity of some of the most pressing foreign affairs and national security issues facing this administration. There is so much substance to this press briefing in Geneva that we decided it deserves to be highlighted and its text posted to provide to our readers a chance to not only read it in full but also to comment, if they wish, on Secretary Kerry’s outline of our objectives and perspective. What is clear is that the international landscape presents extraordinary challenges and difficulties that require not only wisdom and real resources by America but also the full participation by our allies and friends in the difficult task of dealing effectively with the many crises that clearly face the international community. In the coming days we will post some of our analysis of these and others topics in our earlier post on looking at American strategy in 2015 and beyond. “Sanctions alone are not going to provide that solution. What needs to happen is that Iran needs to provide a verifiable set of commitments that its program is in fact peaceful. And that average people and experts alike looking at that verifiable set of commitments have confidence that they are sustainable, that they are real, and that they will provide the answers and guarantees well into the future.